An investor who wishes to open a company in Montenegro needs to take into consideration several aspects regarding the share capital regulations in this country. Our firm is specialized in company formation in Montenegro and can help you understand the principal issues concerning the functioning of share capital for your company. When your company is already established and functional the share capital represents the funds that you obtain from the stocks you sell. The specific regulations concerning the taxation of the revenues from stock selling fall under the Tax Law in Montenegro. The share capital in Montenegro must be reported on the balance sheet of the company and it is calculated by making the sum of all the amounts payed initially by the shareholders. The share equity in Montenegro is an indicator of the financial health of your company and it is calculated by extracting from the total assets of the company the total liabilities. Regardless of the type of company you open in Montenegro, you will be liable to the extent of your share contribution in the company. At the opening of a company, you might need support regarding the legal requirements on the social capital. In such situations, it is a good idea to look for help from a specialist in company formation in Montenegro. You can be assisted as well with setting up a corporate bank account necessary for depositing the minimum share capital. • the joint stock company, which requires a minimum share capital of 25. 000 EUR. The sole proprietorship and the general partneship are two types of companies in Montenegro that do not require any minimum share capital. Our specialists in company formation in Montenegro are readily available to assist you in various aspects regarding the share capital in your company. 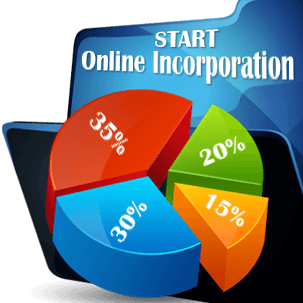 Therefore feel free to contact us when you intend to open a company, so that you can benefit from specialized assistance with all the administrative and legal aspects, including the requirements regarding the minimum share capital.